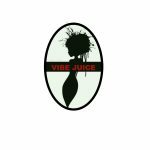 THE VIBE JUICE is a juicy blend of discussions about the goings-on in Oakland, California and the world. Topics include arts and humanities, business, politics and world affairs with featured guests. Redd Sonja a.k.a. Song B creator and producer, artist, writer, poet and humorist. Christopher Jeffery singer, producer soon to launch a short film, so stay tuned. Ali Ar Rasheed, JD; also known as Chief Saba is a for-profit and nonprofit business and organization consultant. Robin May Baby a non-profit leadership, Ancestral spirit-energy healer, medicinal cannabis hobbyist, foodie and mixologist. Just James, daddy day-care, sports enthusiast, character artists. 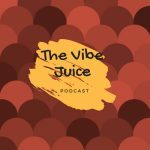 Featured guest artists and entrepreneurs are invited for interviews and to add their opinions and expertise along with the Vibe Crew humor and commentary aimed for the open-minded.